On Tuesday, October 23rd, Comal will welcome back Sayre Piotrkowski from HenHouse Brewing Company to feature a selection of small batch beers paired with dishes by Comal’s executive chef Matt Gandin. Dining with Sayre, guests will have the opportunity to ask questions and hear the story behind each featured beer. HenHouse was founded in Petaluma in 2011 and later moved their brewing operation to Santa Rosa. They now have tasting rooms in both Santa Rosa and Petaluma and release hot-off-the-press cans each week at both locations. From the outset, HenHouse has focused on underappreciated styles such as Saison, Oyster Stout (brewed with local Hog Island Oysters and CA barley) and Belgian-style Golden Ale. HenHouse is a mission-driven operation; beyond producing exceptional beer, they also strive to create living wage jobs, source ingredients locally and work with local farmers to reuse their spent grain. Like previous dinners, the HenHouse beer dinner will be held in Abajo, Comal’s private dining room. This is the latest installment of the Abajo Dinner Series at Comal, a series of producer dinners that are collaborations between Comal’s kitchen and the featured vintner, brewer or distiller. 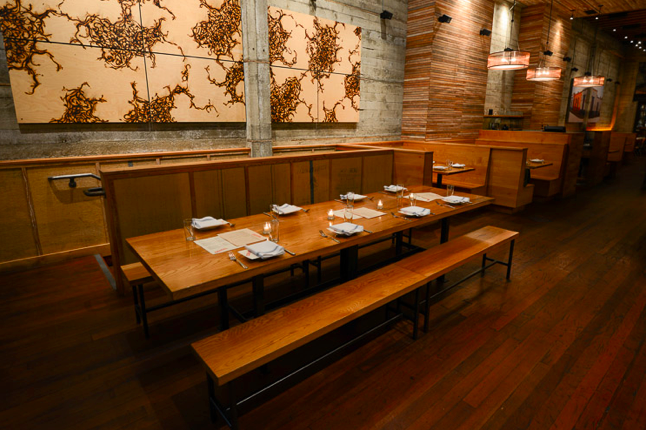 Previous dinners have showcased Arnot-Roberts Wines, Cinco Sentidos Mezcal, Bedrock Wine Co., Mezcal Vago, Fieldwork Brewing Company, Fort Point Beer Company, and many others. With the holidays just around the corner, Comal has two great options for business holiday parties or gatherings of family and friends – Table 30 and Abajo. Table 30 is our community table in the front of the restaurant – it seats 8-11 people on long benches. 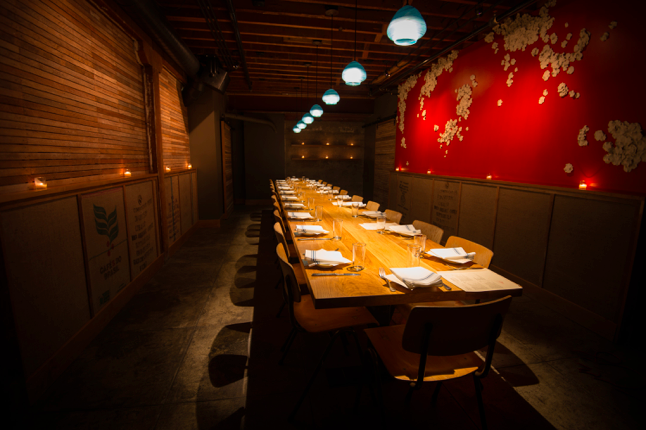 Abajo is our cozy private dining room located in our cellar – it seats 12-22 people. In both cases we offer a multi-course, fixed price menu that can be tailored to the specific needs of your party. For Abajo, we have also created special custom cocktails for parties with names to match on several occasions. Please click here for more information about either of these Group Dining options. We also offer full and partial buyouts of the restaurant, whether for wedding receptions, large company parties or other special occasions. For further information and to inquire about available dates for any of our group dining options, contact us at info@comalberkeley.com.